When we think of what separates humans from animals, one dividing factor comes into mind: work. Unlike humans, most animals don’t technically work – they merely fend for themselves and provide for their families. One animal, however, works hard to help humans: the service dog. These loyal companions give us their best years to help us lead healthier, better lives. One man decided to show his appreciation in an incredible way. Bai Yan lives in the eastern area of the Zhejiang province in China. 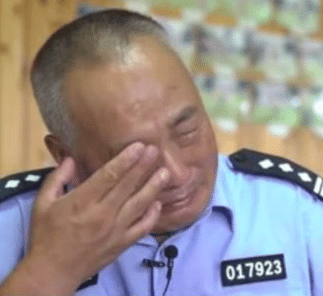 For 13 years he worked as a police officer. 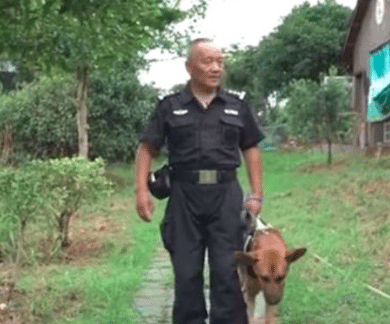 His primary task was to handle the 30 police dogs that were employed by his department. Over time Bai bonded with the dogs and began to think of them as part of his family. As he reached retirement himself, Bai noticed a problem with what was happening to the pups. Retiring police and service dogs did not have happy lives to look forward to. While they could be put up for adoption, many dogs faced neglect in their new homes. The only other option was to be put down. 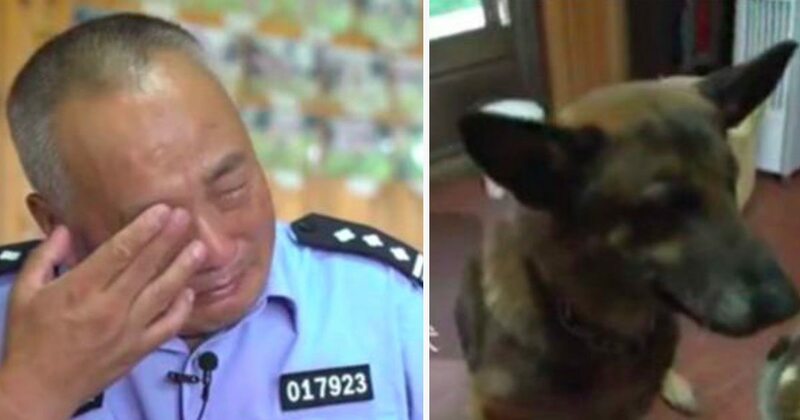 This retired officer wanted to care for his companions in their old years. Bai founded his own doggie retirement home. He spent over a million yuan, or $150,000, building the home himself. It was designed specifically for the dogs to enjoy their last years. The home housed assault courses and long walking paths. Bai knew it was important for the dogs to get exercise even as they aged. It had all started years earlier when one of Bai’s dogs, Sonny, was diagnosed with skin cancer. The doctors advised the distraught owner to throw in the towel and put Sonny down, but the man refused. He had too much love for this dog to take his life away. Instead, he did what he could to help his pup heal. Bai prepared special baths for Sonny each day and gave him lots of love. Eventually, the dog’s condition was under control. The officer reached an epiphany: animals need love just like humans. Now he does what he can to give the dogs he worked with a happy retirement. 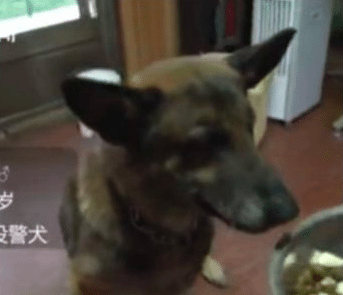 “You could say they are my work comrades or even my family,” the man said of his connection to the canines on a local media outlet. Bai works hard to keep the home running. He prepares a doggie breakfast each day, gives them medicine, and plays with them. He even spends his weekends and holidays tending to the animals. Bai knows the work he does is making a difference. “When he flies over my back, he feels young again,” the man described playing with one pup, Little Dragon. This man certainly has a big heart. It is heartwarming to see someone so dedicated to bettering the lives of his canine family.